April 2014: Tips, eNews & More! Although it has been an especially long and cold winter, you would be happy to know that the prospect of hosting family barbeques, revelling in short-sleeve weather and lounging by the patio are just around the corner. We promise! 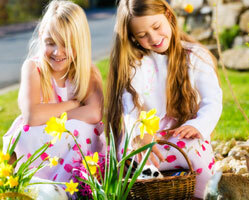 Warmer weather can improve your mood and be smile inducing, so make sure to put your best smile forward. Speak to us! There is a lot we can do to improve your smile and make it all that it can be. Join us in celebrating National Dental Hygienists Week! The month of April is Oral Health Month and a great time to get to know your hygienist. National Dental Hygienists Week (April 6th-12th) celebrates these key members of our oral health team and their role in maintaining good oral health. Learn more about our Hygienists here! 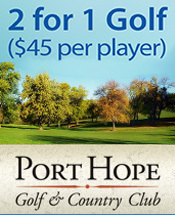 Dr. Benedict is proud to sponsor the Port Hope Golf and Country Club again this season. Click here to see their promotion for the 2014 season. Also, they will be holding an Open House on Saturday April 19, 2014 from 11am – 3pm. There will be an Adams Demo day and they will also have Triple Bogey beer for sampling. 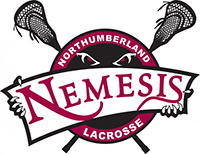 Dr. Benedict is thrilled to sponsor the Northumberland Lacrosse Rep team again this year. We were happy to provide some team members with custom-fitted sports mouthguards. Check out their schedule for 2014 and go cheer them on! 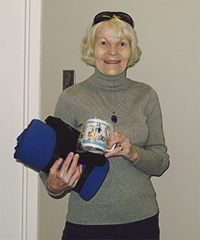 Congratulations to the winners of our survey prize: Gord, Marva, and Samuel. 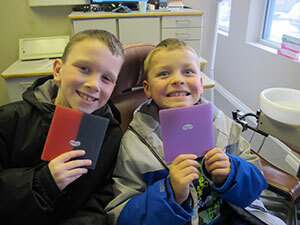 Enjoy your bundle of Port Hope Dental goodies! 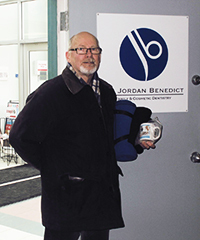 Thank you to everyone who participated in our patient satisfaction survey this year. Your feedback is greatly appreciated! 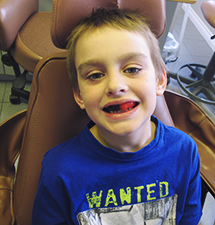 Top 7 Reasons to Have Your Teeth Cleaned! Good Oral Health: During dental cleanings, the hygienist can let you know if you're maintaining good oral health, and make appropriate suggestions if you're not. Early Detection of Dental Problems: Any possible problems can be detected during dental cleanings, allowing for proper and timely treatment. 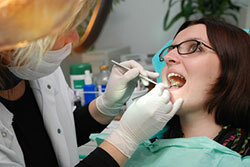 Minor problems such as cavities or early gum disease can be treated and do not have to become major problems. Keeping Your Teeth: Regular dental cleanings, along with check ups, brushing, and flossing, are important to let you keep your own teeth for as long as possible, and helping you to maintain your normal chewing function and overall good health. Click here for four more reasons! Berni's ice cream cake was such a hit at our pot luck last month we thought it would only be right to share it with you! You can use any flavour of ice cream you like and as much as you like, so don't be afraid to experiment while satisfying your sweet tooth. 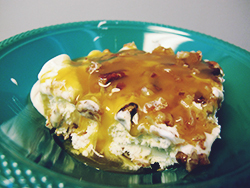 This recipe calls for a healthy serving of pecans - that's healthy right? We won't tell if you won't!